Raised in Liverpool, removed to London at age 16 to become an actor. 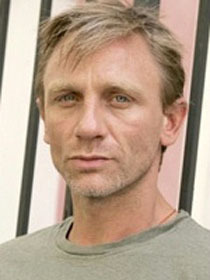 Prior to news of his being selected as the next James Bond (the other possibilities named included Clive Owen, Ewan McGregor, Jude Law and Colin Farrell), he was best known for his role in Layer Cake (2004). UK magazine Popcorn called him "one of Britain's finest and committed actors."